India has nearly 10,000 practicing radiologists today. That might sound like a large number, but it’s not nearly enough. Demand is growing across India for improved medical care, fueled by rising incomes, increased insurance penetration, upsurges in chronic disease, and an aging population. And those shifts have led to a particularly strong demand for more and better imaging to diagnose and treat illness. The result: India is currently facing a shortage of trained medical imaging professionals, largely because imaging has become so crucial to dealing with most illnesses. “Radiology’s influence in disease management keeps growing,” notes Dr. Rakesh Kumar Gupta, director and head of the Radiology Department at Fortis Memorial Research Institute in Gurgaon, India. 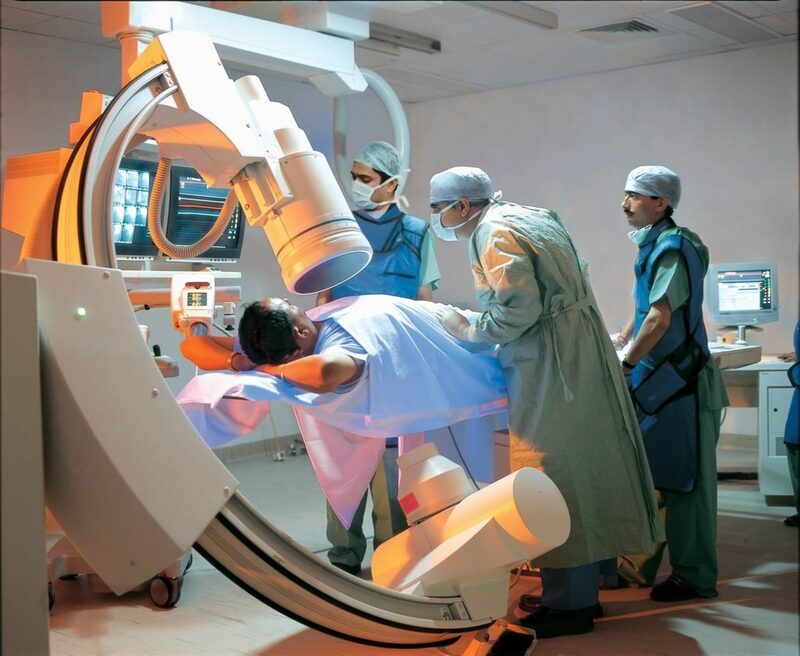 Access to imaging equipment is often not the problem, thanks to the growing availability of less-expensive imaging equipment manufactured in India. There are more than 800 medical-device manufacturers in India, and many of them are aiming products at the country’s medical-imaging market, expected to hit US$2.3 billion by 2020, according to a 2016 Deloitte report. The growing availability of equipment has helped drive the sharply increased demand for highly trained staff — a demand that the current ranks of radiologists can’t meet. In some parts of India there is only one radiologist for every 100,000 people, compared to a United States ratio of 1 for every 10,000. Some trends promise to ease the shortage. One is the growing number of opportunities for radiologists to train and practice in countries with more advanced healthcare systems, notes Dr. Vikash C S, an interventional radiology consultant at the Narayana Health-affiliated Mazumdar Shaw Medical Center in Bangalore. “Many radiologists who have taken fellowships or have worked in western countries are returning, and they are contributing to the improvement in radiology training,” he says. In addition, radiologists in India are following a U.S. trend and shifting from solo practices to group practices. That’s boosting standards for the field, notes Dr. Sundeep Reddivari, general manager of Telemedicine at Columbia Asia Hospitals. “It has resulted in the implementation of more administrative policies across institutions covering recruitment and quality management, as well as goals for education and improvement,” says Reddivari. Furthering the trend to consolidate imaging practitioners into groups is a sharp increase in the number and size of diagnostics laboratory chains that focus on radiology and imaging. According to the Deloitte report, there are now more than 30,000 such labs operating throughout the country, and that’s expected to increase at a rate of 15-20 percent annually. But while the growth of groups and lab chains tends to raise standards, the improvement has been tempered by government regulators’ struggle to keep pace with the rapid growth. Estimates suggest only one percent of the total diagnostic laboratories are accredited. While centers that offer radiation-based technologies are required to obtain initial approval from regulatory bodies such as the Bhabha Atomic Research Center (BARC) and the Atomic Energy Regulatory Board (AERB), once the labs are established there are no regular inspections or audits to ensure standards of quality and safety are met. What’s more, the growing access to imaging is uneven. While many high-end private hospitals in India are actively integrating state-of-the-art equipment, the cost is still out of reach for most public hospitals, as well as many private hospitals in smaller cities. But some of that disparity is starting to flatten out, contends Vikash. “More hospitals are opting for the high end equipment, even in Tier 2 and 3 cities,” he says. Costs to patients can vary wildly, too, ranging from US$15 to US$100 (Rs 1,000 to Rs 6,000) depending on the location, and even from lab to lab in the same area. Poor provider transparency and a lack of any centralized pricing database means that patients often are unable to shop effectively for the best values. Another problem: There’s a lack of radiology guidelines and established patient norms for addressing health issues specifically within the Indian patient population. Consequently, doctors often follow guidelines developed for U.S. patient populations, such as the American College of Radiology’s practice parameters and technical standards. The problem extends to equipment, as well. “Most of the products developed in the west are not designed for India, and our patient population and requirements are different,” says Fortis Memorial's Gupta. One reason U.S.-centric guidelines and technology may not be fully appropriate for India is that the country's patient population has a strong genetic predisposition on average for cardiovascular disease. Cardiovascular disease is the leading cause of death in India, and is becoming increasingly common among younger age groups: in India, 52 percent of cardiovascular deaths occur before the age of 70, compared to only 23 percent of deaths in Western populations. Myocarditis, or inflammation of the heart muscle often caused by a viral infection, is another large health problem in India, and requires cardiac MRIs for accurate diagnosis and treatment. Echocardiograms and intravascular ultrasounds are also critical to managing heart disease. “The whole field has shifted towards diagnosis and treatment based on imaging,” says Dr. Mona Bhatia, head of the Department of Radiodiagnosis and Imaging at the Fortis Escorts Heart Institute in New Delhi. Telemedicine could help address some of the imaging shortages. Rural and other hospitals that lack enough radiologists are starting to turn to the technology in the hopes that they can farm out some of their imaging needs to better-staffed hospitals. Many major healthcare systems in India, including Fortis Healthcare, Apollo Hospitals, and Narayana Hrudayalaya, have already invested heavily in telemedicine services to try to meet that demand. But another trend could short-circuit that solution: Some advanced countries are starting to outsource radiology and other medical imaging services to India. U.S. healthcare systems are often able to outbid Indian hospitals for telemedicine access to India’s best radiologists by paying imaging specialists significantly more than they make in India, though less than the typical cost of a U.S. consultation. The tele-work shipping to India is going beyond routine imaging tasks. “India has the qualified radiologists to interpret complicated cases,” insists Dr. P. M. Venkata Sai, professor of Radiology and head of Clinical Services at the SRI Ramachandra University and Medical Centre. That may be good news for U.S. patients looking to keep costs down, as well for Indian radiologists. But it could be more bad news for beleaguered Indian patients and hospitals that can’t get a hold of an X-ray machine. David Fischer is a freelance writer based in Brooklyn, New York.